It’s clear from recent developments that authorities across the globe are increasing efforts to improve tax compliance and claw back lost funds. Be it multinationals, SME’s or independent contractors, more and more innovative methods are being used to ensure the law is followed by everyone. Most recently, the Netherlands has been in the news for its harsher stance towards tax evasion, expanding its blacklist of countries it classifies as being involved in fraudulent practices. As the EU’s sixth-largest economy, with a robust GDP and wage growth expected this year, the Netherlands is a highly attractive country for contractors to work. Furthermore, employers in the country are hungry for skilled professionals to support growth, with more than half of job openings requiring highly-qualified individuals. As the destination becomes a hotspot for contractor activity, it is important that recruiters looking to enter this market are aware of the evolving tax compliance situation. From January 1st 2021, companies registered in blacklisted jurisdictions will be subject to a 20.5% withholding tax on interest and royalties received from the Netherlands. With the introduction of this measure, the government aims to prevent companies avoiding tax by moving assets to these jurisdictions. 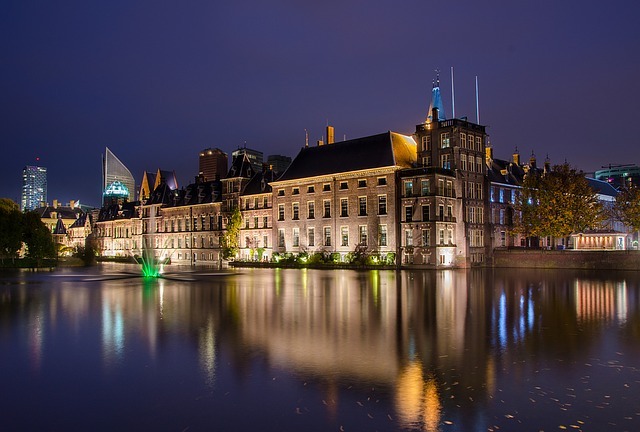 In addition, Dutch authorities will now no longer issue advance tax rulings on transactions with companies headquartered in blacklisted locations. For recruitment agencies looking to capitalise on the Dutch contractor placement market, this latest news adds another level of complexity and risk to an already multifaceted arena. The list of compliance requirements that agencies face when placing contingent workers in the Netherlands has long be extensive. For example, citizens of any EU/EEA countries and Switzerland will not be required obtain a residence permit to stay in the country, as long as the stay is based on the EC Treaty. But for placements longer than four months, registration must be completed with the personal records database (BRP) at the civic register of the City Hall where the contractor is based. Note too, that if the stay is over four months, a copy of a rental contract is needed. For placements under four months, contractors must go to one of 19 locations that has registration facilities for non-residents (RNI) instead with a valid passport or ID card. After registration, a Dutch social security number (BSN) can be issued, which enables wages to be paid. Clearly tax evasion is becoming more heavily policed and, at the same time, international compliance is getting more complex. With the introduction of the Common Reporting Standard and the ease with which countries can share information about tax records, it is now more important than ever to make sure you’re on the right side of the law, wherever you work. Agencies intending to place contractors in destinations such as the Netherlands need to be absolutely sure that the solutions their contractors are using are completely infallible. The way that the landscape is now, the chances of breaking the rules unintentionally and being punished for it are higher than ever. In fact, a contractor could easily be labelled as a ‘tax-evader’ for a simple case of carelessness, and your agency could be left to pick up the pieces. As such, it is wise to employ the services of an international contractor compliance expert to make the experience as smooth as possible. Hi George, I also just want to say thanks for all of your help over the last few months, you made contracting a lot easier than expected so thanks again for that.